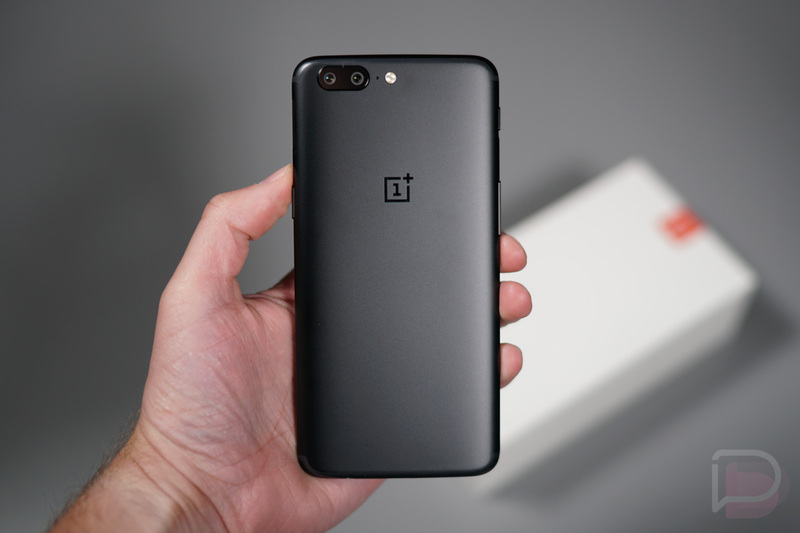 The OnePlus 5 is now in house and as is always the case, we’ll be sure to take the next week or two to put this little guy through life at DL. That means by kicking off the festivities with a OnePlus 5 unboxing before diving into the full testing phase. You’re cool with that, right? To recap, because our memories are all mush after about 24 hours of news, you have OnePlus’ new phone here that starts at $479 and features a good list of top tier specs. It is once again a flagship type phone at a price lower than most other flagships. Now, the price keeps inching closer to the big boys, though we’re still almost $200 under the Galaxy S8 here at the base model. OnePlus was kind enough to send over this review unit here and it is the 8GB RAM/128GB storage version that costs $539. This is a phone I’m really looking forward to reviewing. The OnePlus 3T earned top honors from us last year yet this phone has already received some mixed early reviews. Even Tim is a bit skeptical about some of the choices OnePlus made for the 5 and the message being delivered with them.